You can build a blog, market to an email list and use web 2.0 properties to market your listings. These methods work very well for grabbing the attention of potential buyers. One often overlooked section of marketing online has to do with using the right keywords. When someone searches online for information, a specific set of words or phrases are likely used to find what is needed. Google keeps a record of these searches and will make this data available to you if you know how to find it. It’s like having a secret spy helping your real estate business get access to the most searched phrases and keywords. When you know how to find real estate keywords for your blog, you won’t have to worry about if people will come or if they won’t. They will and they will keep coming back. There are average words and then there are power words that really set your blog at the top of the search engines. Google maintains and updated list right here at this link. There are two types of searches that you can do. The first search is known as a broad search. This pulls keywords and phrases that are used to catch more than one word that people search for online. Broad terms can help you uncover questions that people type into Google and what trends are being searched for in real estate. The second search is known as an exact search. This is used to find the exact word or phrase that someone uses. This is very useful and gets right to the power words that can drive more buyers to your listings online. Don’t you just love free tools that can make you money? We do and we make use of them often. The WordStream keyword tool is very similar to the Google tool. The biggest difference is that there are two versions of it. The free version will limit you to the number of searches that you can do each day. The premium version requires an annual fee but is worth it. You don’t have to guess what people are typing into search engines anymore to find your website. You can start reeling them in like fish in the sea with your baited keywords. This is how millionaires are made online and will increase your property sales when you learn how to start using power keywords and phrases on your blog. Since you should always market to every search engine not just Google, you should know about the Bing keyword tool. This is similar to Google, but it does require you to create an account before use. It’s free to use and will give you immediate insight into the keywords that Bing collects about real estate. 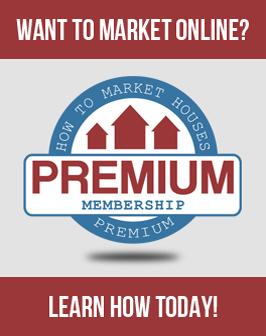 Turning up your real estate Internet marketing is easier when you know how and what to do. Just click here and get access to the Bing tool. The money selling properties is out there waiting for you to take it. Ramp up your blog with the hottest keywords and you’ll never look back to where you used to be online. Do as the pros do. Make money marketing houses online. More tips are available going to over here to this section of our website.